It's hard to express enthusiasm for a book about nutrition without sounding like a wack. We can all rattle off half a dozen diets with results that faded as quickly as an ombre dye job. Take Sensa, for example. 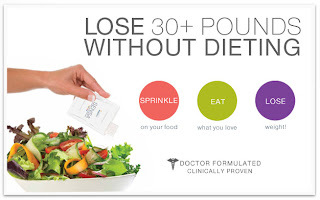 Apparently you sprinkle this stuff on your food and lose thirty pounds. You don't have to join a gym and you can eat whatever you want. Um, I think they called that FenFen in the 80's but it's more commonly known as speed. I realize I risk my own credibility by saying positive things about a book / DVD focused on nutrition. See? That already sounded bad - a book/DVD. This isn't a system or a program, I swear. The book is written by a Cornell University scientist and the DVD is a documentary about him and his findings, so it has a lot of the same info - in a convenient, time-saving format. On the recommendation of a cycling pro, I read The China Study. It investigates the relationship between diet and disease in a very scientific way (as opposed to anecdotal). If the findings weren't so interesting, you might say the writing is a little dry. Nevertheless, I can't stop thinking about this book! It also addressed some big questions that are always in the back of my mind. Will I get diabetes like my grandfather and uncle? Will I get breast cancer like my grandmothers? What can I do to prevent these horrible diseases? It's breast cancer awareness month and everywhere you look there are stats like 1 in 8 women will be diagnosed in her lifetime. Both cancer and diabetes are terrible diseases and you know what? These diseases occur at much much higher rates in "Westernized" countries. Before you start thinking ahead like "is this going to be a vegetarian rant?" No. In fact, the author / scientist was raised on a dairy farm. He didn't set out to vilify the American diet; the book recaps scientific research only, it isn't trying to sell something. In fact, the author stumbled across the crux of this book on accident. I won't ruin the story. I just wanted to make sure you knew that The China Study doesn't advocate eating tofu and rice all the time. It does, however, draw multiple correlations between diet and disease. For most of my late teens and 20's I lived on pizza and Hot Pockets (the cheese pizza Hot Pockets were my favorite). For breakfast I might eat a frozen Mac and Cheese dinner. Over the years I started integrating vegetables - tomato and basil slices on slabs of mozzarella, for example. 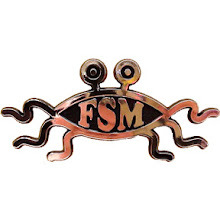 All the while I've been calling myself a vegetarian - but really I was a starch and cheese i tarian. 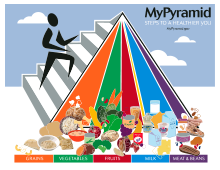 Newsflash, this does not make for good health - but neither does what's on the food pyramid. The USDA food pyramid recommends about 30-40% of your diet should come from meat and dairy. In fact, the lowest rates of cancer, heart disease and diabetes are found in areas where animal protein intake was 10% or less of the diet. But isn't protein critical to a healthy body? The reason we're supposed to eat protein is to support our muscles, right? You drink milk and you grow up big and strong, right? Well, it's very possible to get too much of a good thing. When the Nazis invaded Norway, they confiscated all the cattle. As a result, Norwegian consumption of meat and dairy plummeted - along with the incidence of heart disease. When the Nazis were defeated, meat eating increased and heart disease rates eventually returned to their pre-war levels. Here's one more...the book sites a study of Japanese-American men living in Washington state. These men have the same genes as men in Japan, but significantly higher rates of diabetes - even while maintaining a healthy weight. Hmmmm, that sounds like my family. Is meat evil? That's not where I am going with this. I love cheese. Meat and dairy can be eaten in moderation, but not in the proportions we've been told. If you've ever wondered about whether you'll get cancer or have a heart attack, The China Study is worth a read! Oh yeah, and this whole idea saves us money in the long run. If our nation ate healthier, we could reduce the incidence of cancer, heart disease and diabetes before they even begin. That means fewer $100,000 coronary bypass surgeries, and perhaps some of the 46 million Americans taking blood pressure medication could have better health and forgo the expensive meds. In a nutshell, The China Study gives empirical evidence that the answer to our nation's health problems isn't another pill - the answer is spinach. Not a reader? 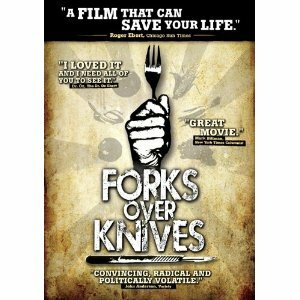 A lot of the same information is presented in the documentary Forks Over Knives. Thanks for taking the time to read this. If you live near me I would be happy to loan you my book - after my Mom is done reading it. I'll admit, I definitely won't be giving up my meat and dairy any time soon (or bread, for that matter, Paleo and Atkins people), but we have been consciously cutting back, if nothing else for saving money. Yes, big ups to beans! Mmmm, garbanzo beans on salad in summer, white bean soup in winter, charro beans year-round!